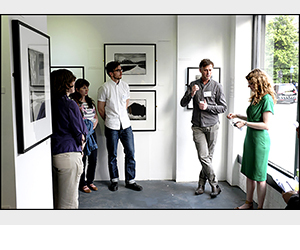 Toby is available for panel discussions, talks, folio reviews, exhibitions and photography events. 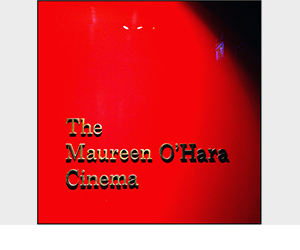 Screening of From Dark to Light: This short documentary about Toby Deveson by Jim Shannon was shown on the big screen for the first time at the Maureen O’Hara Cinema at Embassy Gardens in Vauxhall, London. 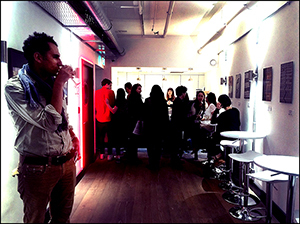 The event was organised by Predella House & hosted by The Ballymore Group. November 2016. 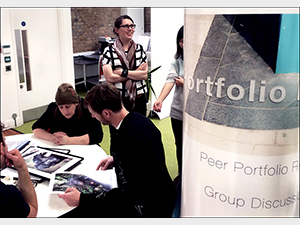 Folio Review Session: Hosted by IdeasTap and organised by Kate O’Neill with Metro Imaging and The Old Girls Club. May 2015. Representing Landscape: Panel discussion with Vanishing Point artists Chris King, Toby Deveson, Samantha Gare, Sam Peacock and Andrea Tyrimos at The Curious Duke Gallery. April 2015. 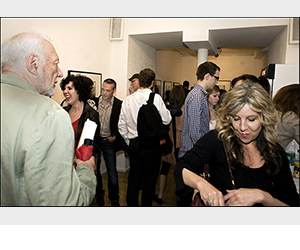 The Rooftop Collective: Meet the artists at the collective exhibition at Goldcrest in Soho, London. April 2015. West of the Sun at Silverprint: Q&A session with Toby, led by Be Smart About Art‘s Susan Mumford and the Silverprint Gallery curator, Fraser Miles during a monthly Be Smart About Art First Friday meeting. June 2014. 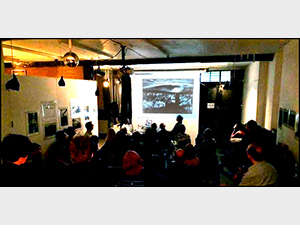 London Alternative Photography Colective: Q&A session and discussion between Toby and Fraser Miles, curator of The Silverprint Gallery, as part of the LAPC monthly meeting at Doomed Gallery. Organised by LAPC founder Melanie Kathryn King, the June meeting also featured a talk by Mike Crawford. June 2014. Skills, Smells and Spells Private View: Held at The Strand Gallery near Charing Cross in London. May 2012.